This one’s a long-delayed post. 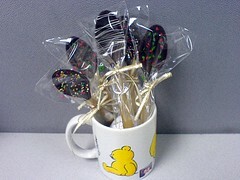 Last Christmas, I gave some of my officemates chocolate covered spoons. I got the idea from an old issue of Good Housekeeping. After looking through the net for additional ideas, my sister, H and I rolled up our sleeves and started preparing these tasty goodies. They are very easy to make and are a huge hit with kids and adults. 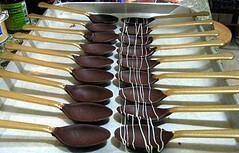 These chocolate covered spoons make great presents, souvenirs and wonderful companions to a mug of hot coffee, a mug of hot chocolate or a delicious bowl of ice cream. First, you’ll need one cup of chopped chocolate (or one cup of chocolate chips). I recommend that you use a good baking chocolate, like Callebaut or Ghirardelli. While you can use chocolate like Kisses or Hersheys, the taste of Callebaut or Ghiradelli chocolate will be much deeper and richer. I also chose to go with semi-sweet dark chocolate because it’s my favorite. You can also use milk chocolate, white chocolate, etc. 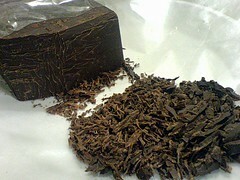 Melt the chocolate either in the microwave or on your stove top. The chocolate should be smooth and fully melted. The chopped chocolate was very tempting! H kept sneaking a taste. And it took utter willpower not to dip our fingers into the melted chocolate. The next step is to get your plastic spoons. The prettier the better! Dip the bowl of the spoon into the melted chocolate. Prop the spoon over a mug till the chocolate hardens, about 15 minutes. 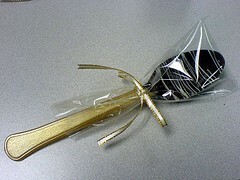 When the chocolate is hard, wrap a piece of cellophane and ribbon around your spoon! It’s that easy. That’s the basic recipe. You can make your spoons even more attractive by using sprinkles. Before the chocolate sets, sprinkle it with colored sugar or candy-like sprinkles for a festive look. We used red and green sprinkles in the shape of Christmas trees, and tiny balls in rainbow colors. My sister and I also drizzled the spoons with melted white chocolate. That was my favorite design of all! The best part is seeing your friends’ faces light up! Some of them ate it right away (while typing at their desks), some got a mug of hot coffee and used the chocolate covered spoon as a stirrer, another used it to eat with ice cream. A bunch of chocolate covered spoons in a mug would make a sweet present. 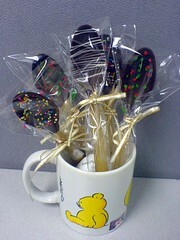 You can also include a pack of hot chocolate along with your chocolate covered spoons package. 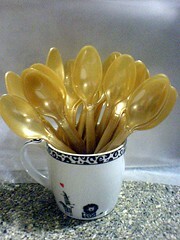 During parties, you can serve these spoons along with cups of coffee. For Valentine’s, my sister made a bunch and decorated them with pink and red hearts. You can also mix in mint liquer, orange liquer, vodka liquer… so many possibilities! 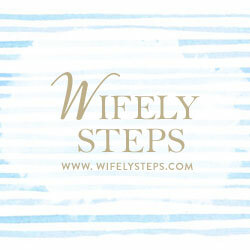 It is a very versatile present and souvenir, and pretty easy to make. 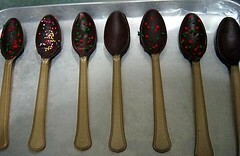 I hope you enjoy making these chocolate covered spoons as much as you enjoy feasting on them! this is a cool idea…. it will be a sell-off at kiddie parties too! can we do more layers of chocolate to make it thicker? in that case do we make the first layer harden first before dipping it again in the melted chocolate? 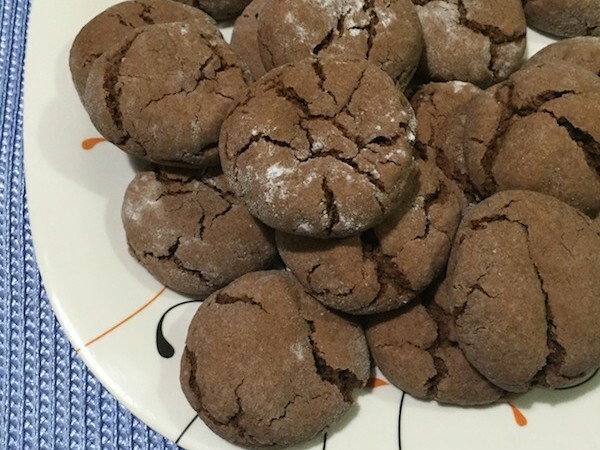 can we keep the chocolate burning on the stove top or do you recommend melting it in batches (else, it will be too bitter?)? where did u get those gold plastic spoons? this is really a nice idea! would be good for a kid’s birthday party 😛 thanks toni! Can we do more layers of chocolate to make it thicker? Yes you can! in that case do we make the first layer harden first before dipping it again in the melted chocolate? Yes! Can we keep the chocolate burning on the stove top or do you recommend melting it in batches (else, it will be too bitter?)? 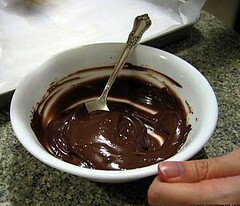 Melt in small batches to avoid burning and to prevent the chocolates from hardening faster when you’re dipping spoons! Where did u get those gold plastic spoons? We got them from a party store in the States. Pasalubong. cool idea. 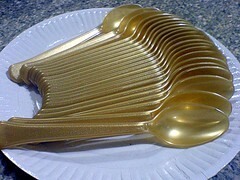 ^_^ sosyal pala ang mga spoons sa states, gold! hmm.. if we’d use white choco, would it be ok ? Fionixe: Yup! White chocolate would be just fine. Creative! You should patent your idea. i dont think i can do this – kasi i wont be able to withstand staring at the chocolate lest doing something with it…. I love this idea Toni. Thank you for generously sharing this cool idea. I love it! I said that twice ‘coz I do. I love the tag as well. Do you mind if I copy that one too? i’m gonna have to copy you that’s a really nifty way of giving something thoughtful and well, very yummy too! Love this Toni! We added different extracts to the chocolate. It worked great with coffee! You are so creative, Toni! This sounds fabulous, but the pic of choc in a bowl looks even more fabulous all by itself. hehehe! ang galing naman! nakakatakam! i love how you documented this.. galing ng pics! 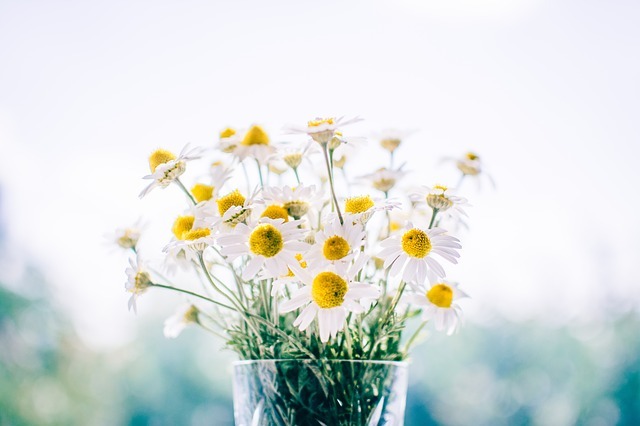 unique idea – am sure your friends liked them very much. 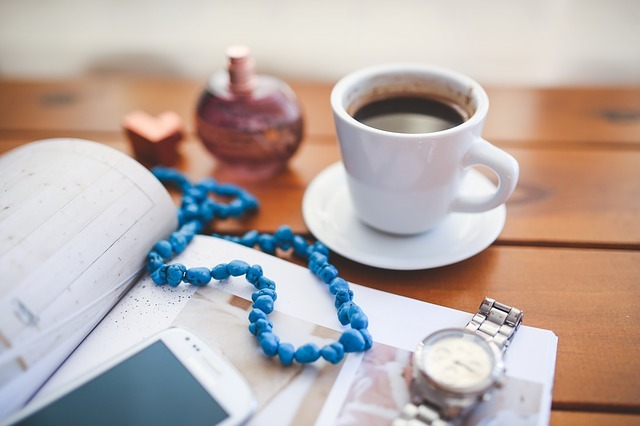 your idea will probably sell in coffee shops! I’ve made these as well … super astig no? eee! galing. so nice. thanks for sharing. 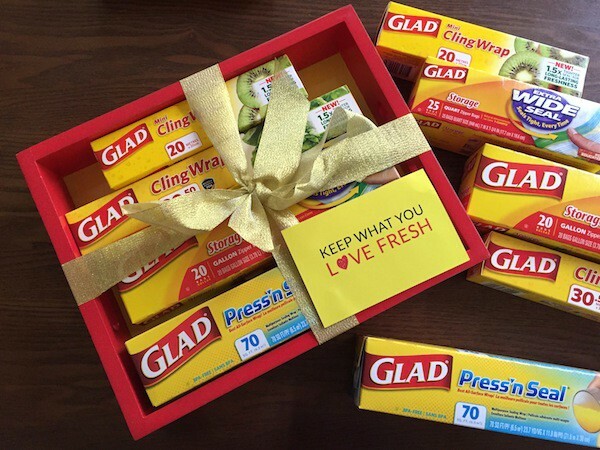 i wish it was Christmas again so i can do this as gifts to my friends. what a great idea…sana officemate mo rin ako. verrry interesting!!! i’ll have my daughter janna do that this summer! Toni – This is such a good idea. Where did you get the plastic that you used? I think I might use these as give aways for my Mom’s surprise party. this is a neat idea! 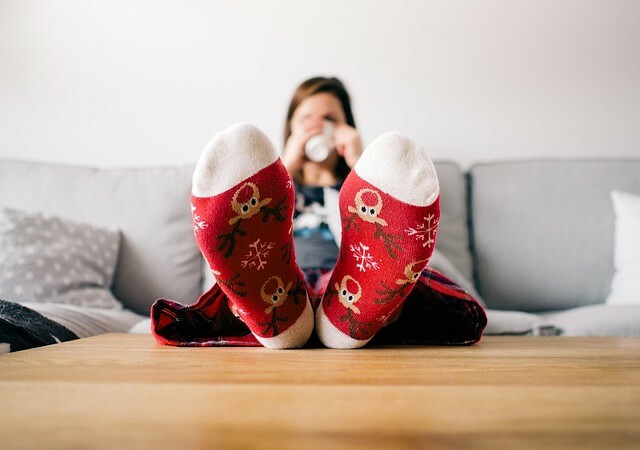 i wish to remember this come Christmas time. thanks! hello toni 😀 browsing through your blog, and found this great idea dunno if i can do it sometime soon pero i’ll keep it in mind 😀 happy weekend! where did you get the pretty spoons and the celophane? Did you just cut the celophane to size and wrap with the bow? Hi Amy! The spoons came from a party store, and the cellophane were little craft bags and tiny sandwich bags we cut in half so they fit snugly over the spoon.